Homeschooling parents take on the sometimes overwhelming task of planning their child’s education journey. Each year we pour over numerous catalogs and attend conferences trying to make good decisions for choosing materials for this journey. There are some very important things to consider when choosing your resources and materials. 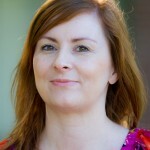 With nineteen years of homeschooling in addition to her expertise as a curriculum developer, Alice shares the top seven things she considers when choosing her curriculum. Every year her homeschooling plan looked different, as your plan probably does as well. 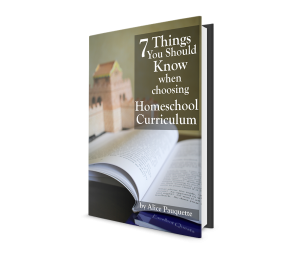 Our ebook: 7 Things You Should Know When Choosing Homeschool Curriculum can help! Subscribe to our newsletter and receive a direct link to download your free ebook today. Note: You will receive an email to confirm your subscription followed by another email with the link to download your free ebook. If you have any trouble, please contact us.